“The sense of solitude prevailing throughout the length and breadth of the poem is strong,” writes Tuhin Bhowal. last night of smoking youth. was to make it sweeter. in my very bright kitchen. I’m staring at the honey bear’s face. Note: Eileen Myles uses the personal pronoun ‘they’. Reminiscing about one time when they were listening to Billie Holiday on the radio, the untrained, peppy American jazz singer, Eileen presents the setting of smoking alone in their kitchen. The probability that they were in the company of just themselves is not improbable. As the readers go on in the poem they are bombarded with the abundance of personal pronouns such as ‘I’ and ‘my’. The sense of solitude prevailing throughout the length and breadth of the poem is strong. The focus solely is on the narrator’s actions which might very well be Eileen’s own, is indicative of the fact that there indeed is no other human presence around that night in the kitchen. The poem’s style can be easily associated with being a kind similar to that of Frank O’Hara’s ‘The Day Lady Died’ and if it is, it can further be regarded as a pastiche poem. Since the ‘Lady’ referred to in O’Hara’s poem is Billie Holiday who was popularly nicknamed ‘Lady Day’ by her friend and music partner Lester Young, it doesn’t take a prodigy’s mind to arrive at this assumption. Even though Eileen doesn’t make it to the list of the first two generation of poets writing in the New York school genre but definitely, without any pinch of doubt have been one all their life. Just as one begins to read ahead of the first line in the distinctive style which is often quoted as Frank O’Hara’s ‘I do this, I do that’ poems (first termed by Brad Gooch in 1993), their attention is locked. The first person narrative makes the ambience of the poem urgent. It pushes the reader to read on scrupulously due to its innate personal reporting. Almost instinctively, one feels inclusive as if they’re in the scene themselves, smoking along with Myles, lending them another pair of lips to finish that pack of cigarettes that night. Analyzing this poem strictly based on its grammar, more specifically the use of multiple tense forms simultaneously and haphazardly even, one might diligently comment that the poem has two parts. In the first part, the poet reflects on their recent past as the tenses employed are past and past continuous. Subsequently, in the second part, Myles shifts to the present and present continuous. As a result, the readers experience a warm sense of nostalgia, dwelling in memories and then are treated with a tone of urgency as they progress into the poem. The unconventional narrative enhances the effect as things start to happen right at the moment for the reader. The poem, then, quite certainly inclines to be a more anti-narrative one rather than being a non-narrative one. Neither does it comply with the general convention of reporting events and expressing thoughts in a sequential manner, nor does it creates an overly meticulous description of little mundane things happening around the speaker of the poem, which is dominatingly described in O’ Hara’s ‘The Day Lady Died’ and John Ashbery’s ‘The Instruction Manual’ – another foremost New York school poet, arguably the most celebrated one. The readers, to some extent, have to work their way through Myles’ poem and cannot solely rely on the narrative of Eileen’s structure, thus re-establishing the fact that ‘The Honey Bear’ is an anti-narrative poem. Another important aspect in the close reading of the New York school poets is to discuss the use of parataxis in their poems. Since one of the inspirational beliefs motivating this genre of post-modern poetry was the ‘stream of consciousness writing’ putting thoughts into the actual act of writing without much revision, it only stands logical even through the rhetorical point of view, that some of the clauses and phrases appear in an unorderly fashion often sans the presence of subordinating connectives. Yet, Myles does a wonderful job in sculpting the narrative into a simple, easy-flowing one. Also, the choices of line breaks have been finalized smartly. For instance, in the first two lines, if ‘I was standing in the kitchen’ wasn’t put in the second line, then maybe, the two phrases might have seemed too abrupt even when judged keeping the post-modern manifestos of poetry in mind. Another interesting side to the poem is the use of ‘O’ three times in the second half. In the context of New York school poetry, it may very well be an indirect reference to Frank O’Hara. In retrospect, how can one be certain that it’s not a direct one? After all, Myles in many of their interviews have stated that Frank was a larger influence on their poetry even over poets like Robert Lowell, both of whom they had met and interacted personally in New York. Also, the ‘O’ adds the flowery classical touch to the poem, an almost prayer-like, which could then turn this poem into an elegy from Eileen Myles written for Frank O’Hara or for Billie Holiday, however, that remains to be a mystery. Myles consciously makes an effort to highlight the inevitable nature of human ageing. The phrases ‘last night of smoking youth’, ‘feeling a little older/nearly thirty in my very/bright kitchen tonight’ suggest the same. Proudly identifying as a homosexual, Eileen hints at solitude which can turn into loneliness if someone doesn’t find a partner even at the age of thirty. A reader can safely declare that this particular connotation is an inevitable plausibility because why else would the poet mention such an exact number? In the next few lines, despite the tea being ‘A little too sweet’, Myles continues ’My only impuls/ to make it sweeter’ which also demonstrates one of the underlying principles evident in the poetry of the New York school poets – writing out of impulse, caring only less about saying things deemed as ‘politically correct’ in poetry. Along with Billie Holiday, Ivy Anderson’s mention reveals Myles’s another favourite Jazz singer of that time. When Myles writes ‘I’m not a bad looking woman’, they not only reflect on the lingering loneliness engulfing them again but also in a rather subtle way express their desire of being physically intimate with a partner that night. As the narrative progresses, the poet’s attention focuses on the plastic honey bear. ‘This plastic honey bear a noodle/of honey dripping into the odd sweet/tea’ is such a mesmerizing Imagist line which reminds the audience that along with Surrealism and Symbolism (mostly French), Imagism was and is a tremendous influence on the New York school poets. The image of honey dripping from, let’s say, the bear’s face resembling the shape of a noodle strand invokes a surreal and vivid image indeed. Since the poem is titled ‘The Honey Bear’, it is only fair that the close reading of these lines is not skipped. Myles has quite intentionally tried to associate the human element, the living connection, again, the surreal connotation with the inanimate plastic honey bear. Comical irony is also observed in the last few lines. The whole image of the honey bear’s cover being loose and honey slowly dripping down the bear’s face adds to the scene being a sloppy and funny one. In hindsight, the poet again tugs at the narrator’s loneliness that night as they didn’t have anything better to do than to watch a plastic honey bear so attentively at such close quarters. This brings out the dark humour, the comical wit of it all. The third instance of ‘O’ being repeated occurs here and the poem seems to come to an end in an elegy-kind of tone and rhythm. While ‘O’ can be a direct way to remember Frank O’Hara as the sound of the phrase is akin to calling out to another human out of compassion (O honey), it can very well be a way to express Myles admiration for their late beloved Jazz singers, Billie and Ivy. ‘I’m staring at the honey bear’s face’ shatters the heart of readers into pieces leaving them with a riveting sense of sad seclusion which almost becomes overwhelming to get over. The setting of the space of ‘bright kitchen’ stays even when one has finished reading the poem. Essentially, this poem is in free verse sans any scheme or rhyme with a scarce use of punctuation. The term ‘New York school’ was coined by John Bernard Myers, the director of the Tibor de Nagy Gallery in New York in an effort to connect the abstract expressionist painters and the emerging poets at the time. Looking from the point of view of some of the most prolific school poets who often collaborated with painters like Jackson Pollock, Willem de Kooning, Jasper Johns and Larry Rivers, Bernard’s nomenclature couldn’t have been a more apt one. 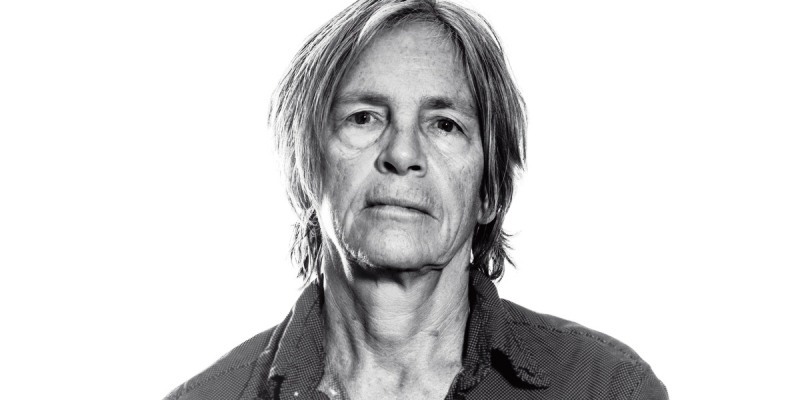 Eileen Myles, like most of the major New York school poets (Ashbery, Schuyler, O’Hara) is a homosexual, a vocal and flamboyant one. Their poetry deals with the facts, events and affairs of daily life characterising their conscious effort to blur the boundary between art and life. They indulge so deeply with a wide variety of styles, themes and methods juxtaposing grave issues in a surrealistic fashion and combining them with a whimsical observation of common human speech and behaviour. To conclude, Eileen Myles’s poetry continues to be urgent and humorous while being seriously playful. Tuhin Bhowal is a Bengaluru-based poet.